to check on progress, and mediate in case of disagreement between partners. Moreover, at the start of the project, a kick-off meeting with all partners will be organized in order to homogenise the sampling protocols and analysis methods (for biology, chemistry, physical parameters), as well as methodology applied to the survey approach. In order to make the data analysis easier, the coordination will also propose the creation and management of a metadatabase. Furthermore, an orientation committee will be invited for a meeting in order to stimulate the discussion on the identification of the relevant issues for SUSTAIN, based on the perspectives from the various partners. The management of the project is relatively straightforward. Financial bookkeeping is the responsibility of the individual partners, who will be in contact with their national contact for this. The main task for the project manager is to communicate with the Snowman secretariat and the Project Board. The project manager is also in charge to optimise the internal communication between partners. This is not expected to be an exhausting task, the number of partners is limited, and the partners have a positive history of cooperation within and outside projects. Nevertheless, in case of disagreement between partners, the project manager will act to solve this. If the project manager is involved in the disagreement the Project Board will be approached to mediate. 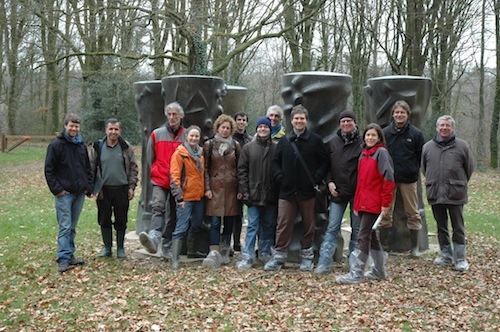 The kick-off meeting (November 2011, 2 days, Brittany) for the homogenization of protocols and a visit of studied fields (Brittany) (detailed in Task 1.2, Task 1.3). 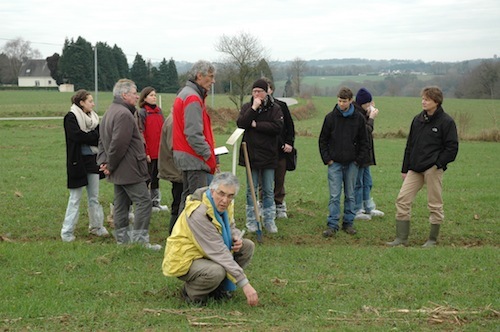 End of 2012 (3 days, Brittany): a meeting for presentation of first results combined to a Workshop on LCA. During this workshop, the orientation committee will be invited. The orientation committee is composed of national and international searchers or stakeholders: Ciro Giardi from JRC, Michiel Rutgers RIVM, Frederic Goulet CIRAD, Jaap Bloem ALTERRA, Lmke de Boer Wageningen UR. End of 2013: meeting for results, data treatment (2 days, Wageningen). September 2014: last meeting (1 day, Paris). In parallel, phone meetings will be managed every 6 months. At the beginning of the SUSTAIN programme, a meeting will be organized in order to harmonize the sampling protocols and analytical methods that will be used by all partners in the SUSTAIN program. Method selections will be based on ISO methods and ENVASSO outputs. Furthermore, parameters necessary for data analysis will be identified (i.e. metadata such as land use histories and climatological data).This data exchange protocol will allow for the best data integration and will facilitate the data input. WP2, WP3, WP4 will deliver large data sets, which will have to be stored and managed. Therefore, a relational database called SUSTAIN Database will be developed and implemented in order to be the repository for all data generated by the SUSTAIN programme. The SUSTAIN database will include biological data (WP2), as well as abiotic data (physico-chemical analyses: WP3), economic data (WP4) and related metadata (sites locations and descriptions, sampling designs, climatic data, land use histories...). The database is the core component of the proposed system and will harmonize data coming from different partners. The successful implementation of this task is based on the experience and the technical skills of UR1 in database design (for instance, in the Bioindicator program supported by ADEME).